This fuel-efficient, powerful bike-handle trimmer handles tough jobs while meeting emissions requirements. The STIHL FS 110 bike-handle trimmer has the same power and features as the FS 110 R, but includes bike handles for trimming large swaths of land. 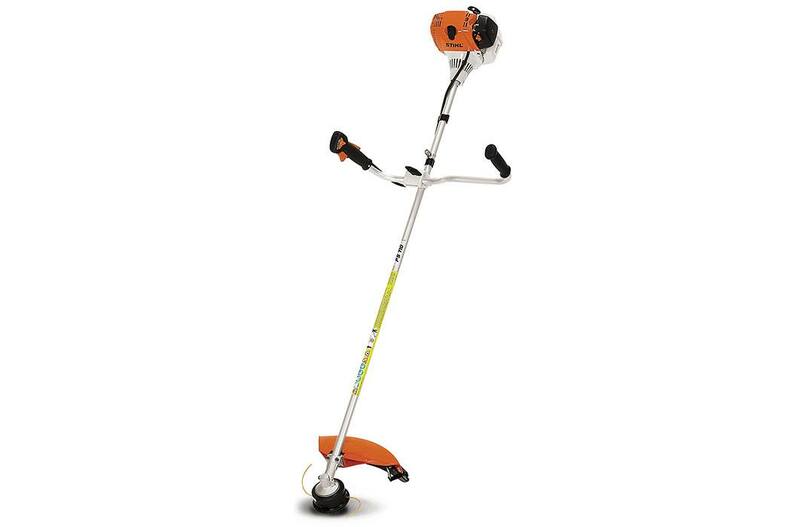 With its swift and smooth acceleration and anti-vibration system, this trimmer is comfortable to use, whether you’re mowing flat terrain or scraggly inclines. And when things get dense and standard trimming line isn’t cutting it, this trimmer accepts a range of steel grass, brush and saw blade attachments. This low exhaust emission trimmer is also fuel-efficient, making it an environmentally conscious cutter.